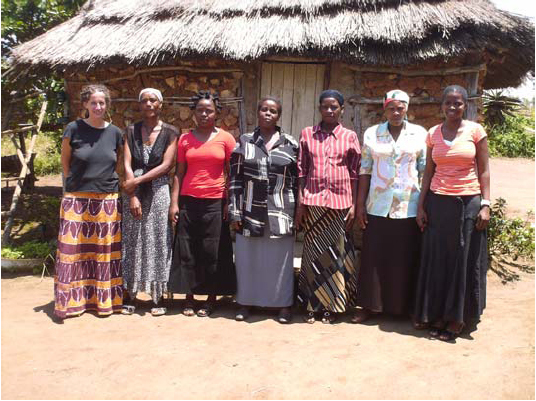 In 2009, Matjana Preschool Parents elected an all-female committee to make decisions about the school and keep an eye on the teachers. While we’re sad to farewell our old Chairperson, Myxo Mdluli, we’re also pleased to welcome Ncobile Mbonane (far right) into the role of chair person. She’s played a key role in organising the school’s teacher and other activities in the past two years, so everyone’s confident she’ll be a great chairperson. Other members of the committee are (from right to left) Make Sibandze, Make Dlamini, Make Myena, Fortunate Sihlgonyane, Make Celiwe Gamedze and Michelle Brear. The committee hopes to meet monthly to oversee the school and organise projects like a fundraising party.